Although these “awards” maybe a tad late in the year for most people, this was mainly a test to see we could get enough people to vote and add nominations. We also wanted these awards to cover more than just the mainstream aspect of gaming (modern console and pc). So we came up with a list of categories that should cover different areas of gaming, like arcades, restoration, along with homebrew games for retro consoles and the more common best game, best graphics and so on. Who are we? 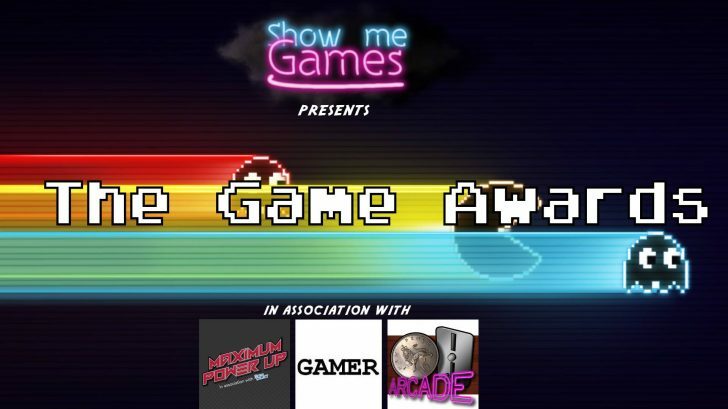 For The Games Awards, Show Me Games enlisted the help from Paul monaghan of Maximum Power-Up, Shaun Holley and Victor Marland of the Ten Pence Arcade Podcast, and not forgetting input from Lewis Waddington and Jake Smith. All of which helped a great deal. Moving on to the awards, as voted by the members of The Game Awards open facebook group.